The Pitco SPINFRESH fryer is a great way to fry foods more efficiently, and now with the latest updates, it operates even better. The SPINFRESH fryer can reduce your operating expenses and enhance profitability. 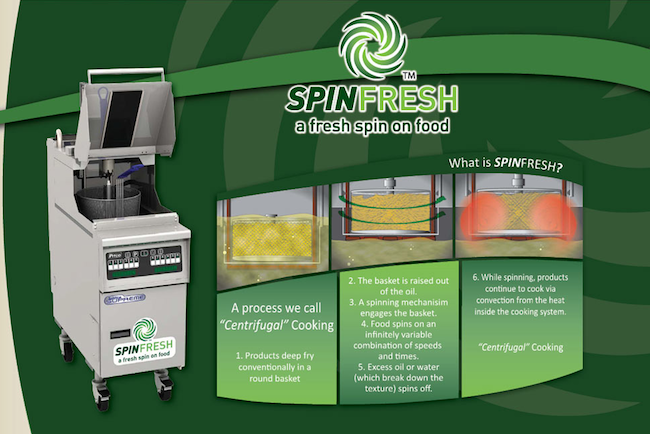 With the SPINFRESH cooking system, oil spins off the food. In lab testing 48.8% of cooking oil was spun off the food and recovered back into the fryer making your oil go farther. In addition to making your oil go farther the SPINFRESH cooking system reduced gas consumption by 13.1%. The closed lid cooking system conserves heat inside the fryer so fewer recovery cycles are needed to keep oil up to cooking temperature. Pitco has made improvements both to the spinning mechanism in the fry basket as well as to the fryer itself. The basket now spins on ball bearings making it much sturdier. After hearing reports from the field that the fryers shook while spinning, Pitco has made adjustments to eliminate the shaking. Additionally, upgrades have been made to make the unit even safer to use. Watch John Young, Vice President of Sales West at Pitco explain the improvements.